Teamwork is a very important aspect of every life. The person’s ability to work harmoniously in a team as well as the communication and interpersonal skills are key factors for succeeding in the workplace. Persons who posses these characteristics are more likely to be successful in today’s competitive business environment. There are some simple tips and techniques that one can easily follow to improve these skills and become a teamwork guru. Why good teamwork relationships are important? The relationship we have with our colleagues in the workplace, is affecting our psychological condition, productivity and quality of life in general. No doubt the quality of relations that exists between the members of a group working for a common purpose in a workplace is a key factor for the success of the group. A harmonious relationship and good communication between the members of a team is necessary for the effective cooperation in achieving the goals of the team, and is an irreplaceable weapon in the struggle for your own personal success. Inevitably in a human environment, you should expect to have different approaches to solving problems. Problems arise all the time. They create difficult situations and controversy. The disagreements, competitive behaviour and poor communication, can lead to bad relations between the members of a group working for a common goal. Furthermore, differences in attitudes, position, level of education in the various hierarchical levels, can help create situations that lead to bad relations with negative implications in terms of efficiency. How to become a teamwork guru by improving your communication and interpersonal skills? There are some techniques that can be adopted by a person working in a group in order to improve the communication and interpersonal skills and become a teamwork guru. The relations with others who work with you should first be characterized by respect and appreciation to the other and professionalism. Learn to listen carefully when others speak. Allow the person to show you their problems without interruption, showing that you are going to handle their problem with careful thought and with respect. At the same time learning what they want and what they need. To listen with attention and concentration may allow you to discover things that were hidden and not known. Listening carefully and understanding the needs that exist, increases the chances to find a solution. Try to understand the view of others. To bring about mutual understanding and to leave the misunderstandings, it is good to repeat in your own words what the other person says and asking if this is what they really meant. Collect information and ask if you need some clarifications. The information will help you learn to adopt a responsible course of action. To identify the thoughts and feelings of others does not mean that you accept their arguments. For example, you can tell the other person that you understand why he/she is disappointed or upset. You can even say that you understand his/her position, but this is another way to see some things. Understanding the concerns of others helps to build confidence and contributes to the solution of problems. 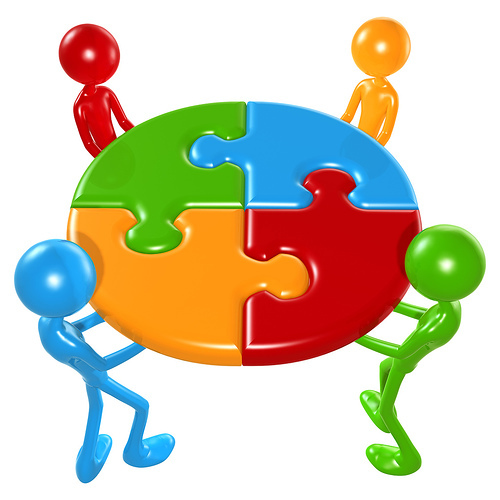 Try to promote group work for solving problems. Show that there is mutual trust and believe that your colleague raises some issues in good faith. Start by dealing with small issues that are easier to solve and then move on to more difficult issues. If you realize that things begin to degenerate return back to any matters to which you have in common. Try to use words like ‘feel’, ‘believe’, and base your arguments on facts. Avoid criticism or accusations. In these situations you must be consistent and not do things that are not expected, because this could undermine mutual confidence. Do not respond to threats or personal attacks. If you are angry and you feel that is necessary, you can tell that you are angry that moment and that you prefer to continue the discussion later when you pass the anger. When you really feel you made a mistake it can be very effective and may have a catalytic effect to admit your mistake. Do not hurry to solve a problem early. You should talk to the other person to indicate that you should decide together for the next step. Any decision should be mutually accepted. Before you get into a process of debate you should first decide what you really want. Also, you need to know about what you are prepared to lose and what compromises you can do to get what you want. A third party that is neutral, could be useful for you to understand better the situation. Think also about ways of monitoring the solution you will propose. Handling and resolving a conflict is a gradual process. Conflict and confrontation will not be solved with a single interaction. You need to understand the issues of conflict and you need to make sure that all parties understand those issues. There may be setbacks during the process but gradually and using a step-by-step approach you should move towards an acceptable solution by all parties.